Waltz into any participating 7-Eleven store 9/29 from 7 a.m. to 11 a.m. to get a free medium coffee. "On Thursday, September 29, Krispy Kreme will celebrate National Coffee Day and its new Krispy Kreme Signature Coffee Blends by giving a FREE 12oz cup of House Blend Coffee to its guests in the U.S. and Canada. No Purchase Necessary." Head on over to the CardsDirect.com Facebook page and Like them to get your FREE card and matching envelope. Sign up here to request your free sample of 5-Hour Energy Drink. Cold Stone Creamery is offering free 3 oz of a Make-a-Wish child’s ice cream creation on Tuesday, September 27, 2011 from 5pm-8pm, in celebration of Make-a-Wish month. 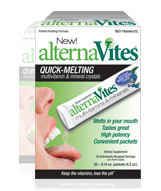 Simply head on over here and fill out the form to request your FREE sample of AlternaVites Vitamin Powder. 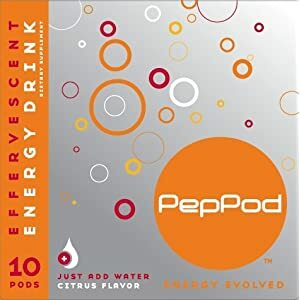 Head over here to request a free sample of PepPod Healthy Energy Drink and send some to your friends. "PepPod is a healthy energy drink that gives you real energy for a sustained mind-body boost."